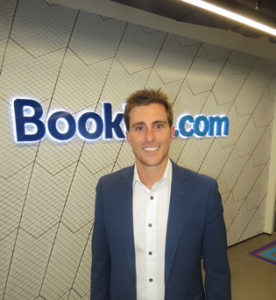 Booking.com, global leader in connecting travellers with the widest choice of places to stay, has appointed Luke Wilson as Area Manager for Australia. Wilson will be responsible for the development and leadership of teams in three offices across Australia as well as overseeing the management of Booking.com’s new and existing 18,000+ Australian properties. Reporting to the Regional Manager for Oceania, Tracey Foxall, Wilson will also focus on the long term growth of the brand’s offering in Australia, working alongside his team to improve the quality of offer, availability and supply of properties for Booking.com. Wilson first joined the Booking.com team in 2012 as an Account Manager for the Pacific Islands and Tropical North Queensland region. His strong tourism and travel background has seen him work across some of the best known hotel groups in the world, giving him unique insights into the market. “Booking.com has been going from strength to strength in the Australian market and I’m excited to get involved in driving it to the next level.” said Wilson. Wilson’s appointment is effective immediately.